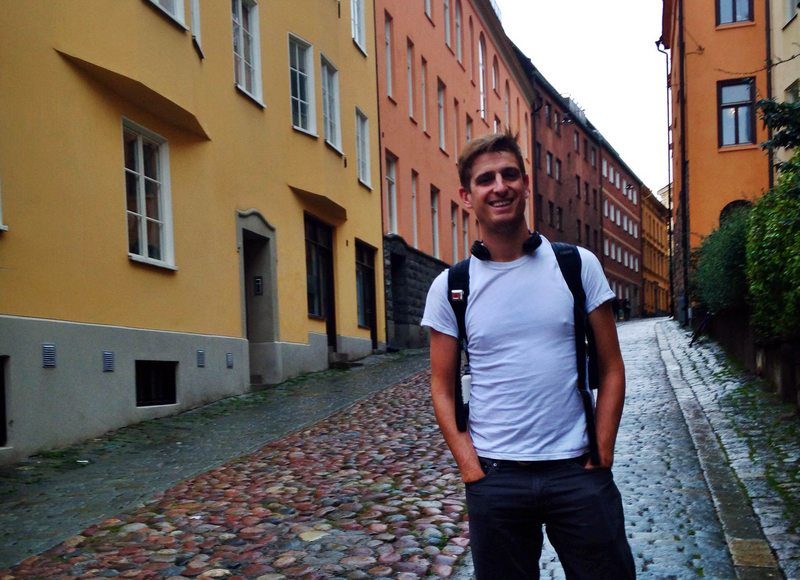 In spring 2011, Jackson Lester spent a semester in Copenhagen to study Sustainability. Now, he is back in Scandinavia, but this time to work on his Master’s Thesis in Stockholm. We connected with Jackson to hear about his first impressions of Stockholm, how his semester at DIS influenced his choice to come back, and how this time abroad differs from his experience as a student. DIS: Hi Jackson, thanks for taking the time to chat with us about Stockholm! We’re excited to hear what you have to say. Can you tell us more about your work in Stockholm and why you chose to study in this city? Jackson Lester: Sure! I am a master’s student in Civil and Environmental Engineering at the University of Washington in Seattle, and I was awarded a Valle Scholarship to spend up to nine months in Scandinavia (or a Baltic country). Through my academic network, I got in touch with a professor at KTH (Royal Institute for Science and Technology) in Stockholm and am here working on my Master’s Thesis. I study transportation engineering, which was actually a change in direction from my undergraduate studies in Economics and Environmental Studies. After reflecting on my time in Copenhagen and using the public and bicycle transportation network, I became interested in studying and contributing to lifestyles that don’t require personal vehicles. Now I am pursuing these interests in my graduate degree, studying and modeling how physical route characteristics impact individual level cyclist route choice. 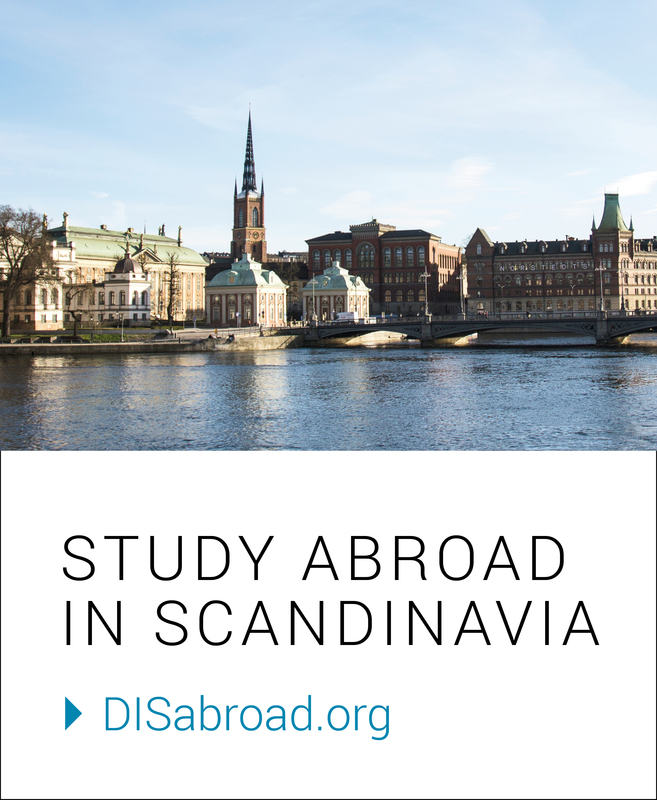 DIS: We are curious to hear more about your lifestyle in Copenhagen. How did it affect your studies today? JL: Before my time at DIS, as a native Kentuckian, I had always relied chiefly on personal vehicles for transportation. In Copenhagen, once the weather became nice, I started riding the shared bicycle at my Residential Community everywhere, despite that it was a women’s bike set up for someone much shorter than I. Since then, I have used a bicycle as my primary means of transportation in my day-to-day life, even back in the States, and participated in two cross-the-U.S. bike tours with the non-profit organization Bike and Build, the second as a trip leader. It was very much on reflection of my time in Copenhagen (and after a year of ski instructing in Utah) that I decided to go back to school to better understand the transportation system. Now I am hoping to make a career in making the world more livable separately of personal vehicles. Note that I don’t think cars are evil and I would actually like to own one, I just don’t think we need one in our day-to-day lives! DIS: Did you think Stockholm would be similar to Copenhagen? In what ways is it similar or different? JL: I thought it would be very similar, but because it was more than four years between when I left Copenhagen and arrived in Stockholm, I am also seeing Stockholm through totally different eyes than I saw Copenhagen. Generally, Swedish culture and people seem to be a bit more professional and businesslike than in Denmark, although there are plenty of business-like Danes and relaxed Swedes. Through my civil engineering/city planning lens, I think Stockholm is more of a dense city than Copenhagen, with a really small city-center that transitions from one neighborhood to the next really easily. Because of this, it is really easy to travel around Stockholm on the T-Bana, even compared with the also wonderful public transit system in Copenhagen. DIS: What are your first impressions of Stockholm? JL: Dave Barry’s quote, “Americans who travel abroad for the first time are often shocked to discover that, despite all the progress that has been made in the last 30 years, many foreign people still speak in foreign languages,” was also regrettably true this time around. bigger when you look around and you don’t understand signs and you have to really struggle to read the headlines of a newspaper, but it gives you the opportunity to learn something new every day. Fortunately, I have made some really awesome Swedish friends who like to explain nuances of Swedish language and culture. While mostly everyone speaks really great English, this isn’t the default. I know it seems obvious, but somehow it wasn’t to me! DIS: What is your favorite part about Swedish culture? JL: I like the accessibility and appreciation of the outdoors by Swedish people. It kind of blows my mind that a typical Swedish family tends to have summer houses outside of the city where they spend their five weeks of paid vacation annually! Also, within the city there are so many parks and public spaces everywhere, especially for a place with a housing shortage. This really demonstrates what a priority public places are in Swedish culture. Also, I really love the importance of work-life balance in Sweden. I have noticed that in my office people seem to be very on-task when they are working, but if I arrive before 8:30 AM or leave after 5 PM, nobody is here, and that is wonderful! DIS: I’m sure you’re spending a lot of time studying and working in the city. What is your favorite coffee shop or study spot? JL: Lilla Caféet på Söder on Ringvägen is so quaint and comfortable and the employees are very kind, so that is one of my favorite places to have Fika. Also Café Dox on Stora Nygatan in Gamla Stan is in this crazy cavernous underground space with lots of couches and coffee tables. Both of those are must-tries in my book!